The Fairchild 670, the Pultec EQP-1A, and the Pultec MEQ-5 are among the most sought-after pieces of gear in audio history. 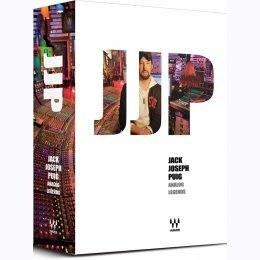 Jack Joseph Puig is among the most sought-after producers and mixing engineers in the music industry. When JJP requires the perfect sound, he turns to these studio legends. Now, Waves has precision-modeled these rare pieces and captured every detail of their rich harmonic complexity. Throughout the vinyl era, the original Fairchild 670 compressor was ubiquitous: From the recording studio to the record lathe, the Fairchild was renowned for its advanced compression techniques and incomparable sound. Weï¿½ve captured every distinctive nuance of Jack Joseph Puigï¿½s Fairchild 670 along with every detail of its rich harmonic complexity. The Pultec EQP-1A is renowned for its unique ability to boost and cut the same frequencies simultaneously, thereby creating a resonant shelf. The PuigTec EQP-1A is a remarkable replication of Jack Joseph Puigï¿½s original hand-crafted unit, heard on dozens of popular recordings from artists including Weezer, Black Crowes, and Panic At The Disco. The distinctive tonal characteristics of the MEQ-5 have made the original Pultec hardware a mainstay at high-end studios for decades. The midrange PuigTec MEQ-5 and the broadband PuigTec EQP-1A together comprise a full range vintage EQ chain.